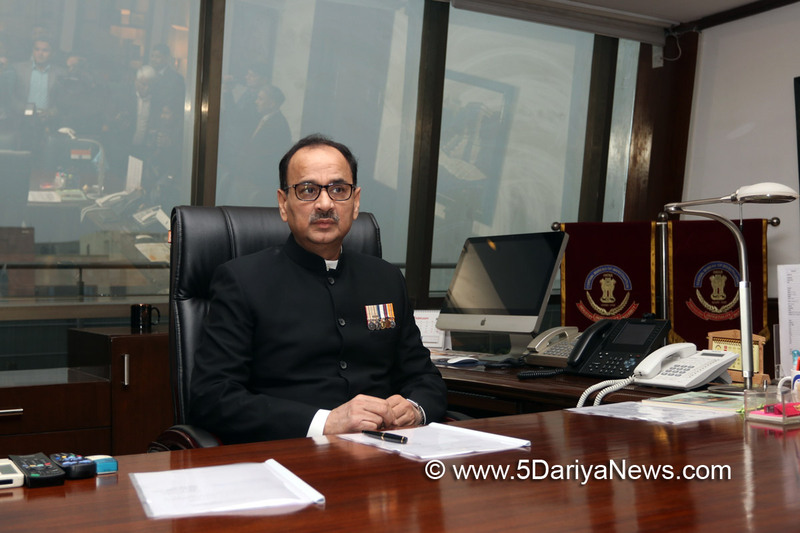 Hours after the government stripped him of his powers, CBI Director Alok Verma on Wednesday moved the Supreme Court challenging the Centre's decision and suggesting that the government may not be in agreement with the course of CBI probe into cases relating to some "high functionaries".In his petition, he contended that the action against him was "patently illegal and unconstitutional" and sought quashing of the order.In the synopsis and the list of dates appended to the petition, Verma said as an IPS official with an unblemished record for over 35 years, he was appointed Director of CBI for a statutory two-year term in January 2017. "However, as the CBI is expected to function completely independently and autonomously, there are bound to be occasions when certain investigations into high functionaries do not take the direction that may be desirable to the government. "Over the recent past, although all functionaries within the CBI from the investigating officer and the Superintending officers upto the Joint Director and the Director have agreed on a certain cause of action, the Special Director has been of different view. "The hurdles posed by this individual have now been compounded by his complicity in concocting evidence to impune the reputation of the petitioner, which has led to separate RC (FIR) being registered by the CBI, which has been challenged by him in the High Court of Delhi," Verma said in the petition. He contended that the CVC and the Central government have overnight taken the decision to to divest him of his complete role as Director CBI and to appoint another individual in his place. Verma cited "tacit government influence" in the matter and submitted that the CBI ought to be "insulated" from government interference. He said this insulation is maintained only by the High Powered Committee, which was given express statutory mandate under the statute. Making the Union of India and the Central Vigilance Commission (CVC) as respondents, Verma said the decisions to divest him of his role as the CBI director and directing M. Nageshwar Rao to discharge the duties and functions of the CBI Director, were "not taken after consulting the High Powered Committee set up under the Delhi Special Police Establishment (DSPE) Act and violated the statutory tenure secured by law".He said the Centre's order bypassed the mandate of the committee that comprises the Prime Minister, the Leader of the Opposition and the Chief Justice of India. Citing the DSPE Act from which the CBI derives its power to investigate, Verma said the Centre's decision violated the Act which secures a two-year tenure for the CBI director. "It is submitted that not all influence that is exerted by the political government would be found explicitly or in writing. More often than not, it is tacit and requires considerable courage to withstand," said Verma contending that the Centre's orders are "manifestly arbitrary, sans natural justice and violate Articles 14, 19 and 21 of the Constitution. "Any illegal interference of this nature not only erodes the independence of the institution but also the morale of its officers," said Verma praying the court to stay the orders so that "such external interference" does not recur. Verma also referred to the agency registering a case against its Special Director Rakesh Asthana for alleged corruption. He also argued that the present actions give serious credence to the requirement that the CBI be given independence from the Department of Personnel and Training (DoPT) which "seriously hinders the independent functioning of the institution". The Supreme Court will take up the petition for hearing on October 26.